One of the most-requested features delivered by the new telephone system is the ability to forward voicemail messages to your email inbox - providing the ability to receive and check voicemail messages from any network connected device including smartphones, iPads/tablets, laptops, and desktop computers with speakers. The new voicemail-to-email feature is being offered as an opt-in service. Users are able to choose between traditional voicemail storage and retrieval or the option of forwarding all voicemail messages to their College email account - providing virtually limitless storage as well as the ability to store, sort, and forward voicemail message the same as email. To opt-in to the voicemail-to-email feature, please click here. 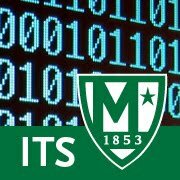 Once voicemail is forwarded to your Manhattan College email account, you have the ability to sort/copy the messages to a "Voicemail" folder to make searching for new and past voicemail message a snap. Simply follow the instructions here to implement a Gmail filter and start organizing your voicemail messages.